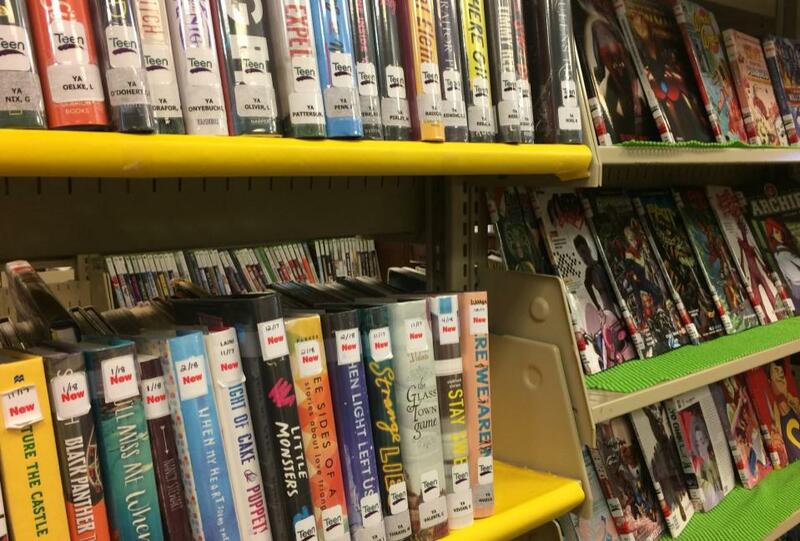 If you're a 6th-12th grader looking to volunteer at your local library, click here to submit your volunteer application. contribute to our teen book review blog! All 6th-12th grade students are invited to contribute original book reviews or book trailers to be published on our Teen Book Review blog. Teens who submit book reviews will receive 1 volunteer hour for each written review. Read a book that was particularly awesome and you're just dying to tell everyone you know about it? Create a book trailer! Get creative, show off your audio/video editing skills, and, most importantly, let everyone know about the amazing book you just read. Like movie trailers, book trailers are meant to get people excited about and interested in the highlighted book. Use this opportunity to share your love and enthusiasm for a book by recommending it to others in this unique way. For each book trailer submitted, you will receive 2 volunteer hours. In order to successfully earn volunteer hours for your reviews or trailers, all submissions must follow the following guidelines. Brief summary of the book, about 1-3 sentences. No spoilers! Your thoughts, impressions, opinions of the book. This will be the bulk of your review, about 300-500 words. Tell us why you liked or hated a book. Tell us about how it made you feel. Did you identify strongly with any of the characters? How? Did this book change the way you think or feel about something? Anything else you'd like to say about the book. Did it have an awesome cover? Was there artwork that really added or took away from the overall experience of reading the book? Anything at all! Book reviews should be about 300-500 words and should be your own original thoughts. Spelling and grammar count! Please do not use inappropriate language. Reviews may be edited for content. Book trailers can include images, animation, music, and text or voice-overs. All book trailers should include original content that you've created yourself or materials that are free to use under Creative Commons licensing. Please do not use inappropriate language or images. Do not plagiarize or use copyrighted materials that you do not have permissions for. You can use https://search.creativecommons.org/ to locate images, audio, and video clips that are okay to use in your book trailer. Be sure to check whether attribution is required. If you need help with navigating all of this, feel free to contact Kristen and she will show you how to determine whether the file is okay to use or not. Send your review or trailer to our Teen/Technology Librarian, Kristen, by email to kristen.rasczyk@glenrock.bccls.org. Written reviews can be pasted into the body of the email or attached as a Word document. Book trailers can be attached as an .mp4 file or you can provide the link to your video on YouTube, Vimeo, etc. Please include your full name and grade with your submission. Your full name will not be used on the blog - this is just so we can get in touch with you if needed and to keep track of your volunteer hours. Be sure to let us know how you'd like your name to appear with your review or trailer on the blog - first name, initials, or anonymous.